Hello and welcome to 3DPrintravel.com! My name is Angelo and I am an electrical engineer from Italy with two big obsessions: travelling and 3D printing. I have been working with 3D printing since 2011, and now, whenever I travel, I bring each city a little 3D printed piece of itself. Thr #3DPrinTravel project is a simple concept. Basically what I do is create models of monuments of places where i’m going (or download them), 3d print them using different materials depending on the model and take a picture of the model in front of the actual monument or site, then i share the shots on my Instagram profile using the hashtag #3DPrinTravel and the models on my Thingiverse profile. The project started as a whim in 2015, with a 3D printed model of the Duomo di Milano, or Milan Cathedral, in my hometown. A few days later, on a trip to Athens, I decided to do the same thing with the Parthenon. Since then, #3DPrinTravel has grown into a collection of 30+ models from 25+ different countries in Europe, in Asia in America in less than three years. In most of the picture the models are in the hand of my life-travel buddy Giulia that is also the writer of most of the caption of this website pages. 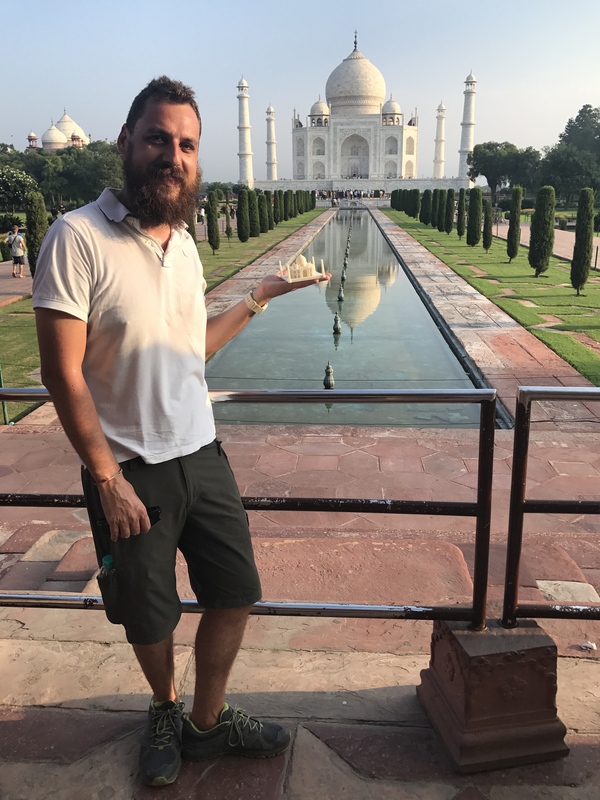 With this project I want to show some beautiful parts of the planet I was lucky to see and introduce people to the amazing world of 3D printing. It is also a great opportunity to test new materials and new 3D printers and get in touch with other travellers and 3D printing fans like me. Several of the models are available on Thingiverse, and you can see more of my work by following me on Twitter and Instagram.